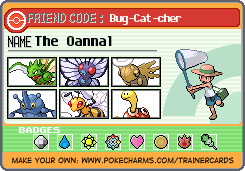 Bugs are the best Pokemon! I haven't included any Pokemon from X and Y yet, because I don't have it. I'm thinking about buying it next week, so my list may change later on. If I had an honorable mention list, I would give it to: Umbreon, Walrein, Darmanitan, Sceptile and Manectric. My favorite pokemon is Cyndaquil! I like the way his flames would just pop out of his back! My favorite pokemon is lucario. I like how mysterious that pokemon is. My all-time favorite is DIALGA. It's soooo Cool and Strong! Alakazam is probably my favorite. Articuno places a close second. Oh wow where to begin. Man there are so many cute pokemon out there. My favorite is Pokemon threads. My Favorite is . I like this. I'm actually reading tanaka the wizard manga on mangazuki. This is my favorite manga. I see the break in logic there. Either Mew or Eevee, (basically cute and potentially powerful). I'm actually reading tanaka the wizard manga on https://365manga.net/. This is my favorite manga.